Well, well, well.... from the looks of it, the tiny home movement is burning brighter than ever! I sat down with Vancouver Island's Island Life Tiny Home founders - Michael Hankus, Douglas Peterson-Hui, and Daniel Sobieraj - to discuss their latest project! A while back, we featured a Houseporn.ca story about the micro-home mania in British Columbia, so what better way to continue the thread than with the following video interview with the founders and designers of this exciting project. Take a look - and enjoy! So what do you think? 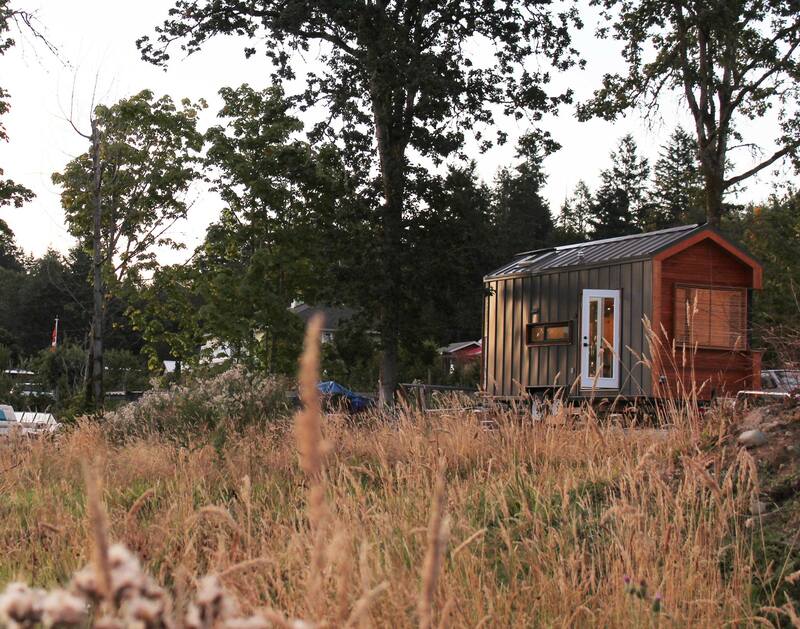 Do you see yourself living in a tiny home one day? One never knows, right? If you enjoyed this article, you'll like this Houseporn.ca post about a Calgary-based non-profit plan to construct tiny homes to house Canada’s homeless military veterans.! --> Big Plans For Calgary’s Homes For Heroes Foundation. This interview was filmed and edited by Agnes Yuen, an Architectural Science student at Ryerson University.